NASA pilot Jim Less sits in the cockpit of a NASA F/A-18 aircraft in preparation for flight tests that will be used to understand the physiological impacts that high-performance aircraft have on pilots. NASA pilot Jim Less climbed into the cockpit of the F/A-18 aircraft, secured his safety equipment, and took in a long and deep breath. It’s not every day that NASA is tasked with a mission that could save someone’s life, but for the next few months that has become a focus for pilots out at NASA’s Armstrong Flight Research Center. 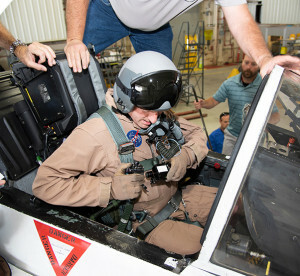 Managed by the NASA Engineering and Safety Center at Langley Research Center in Virginia, Armstrong’s newest flight series will task its pilots with the role of simulating a series of in-flight activities to better understand how flight conditions can impact a pilot’s breathing during high-performance aircraft flights. On Aug. 3, Armstrong began a series of flight tests that will identify the impacts of flying in high-performance aircraft on the human body. 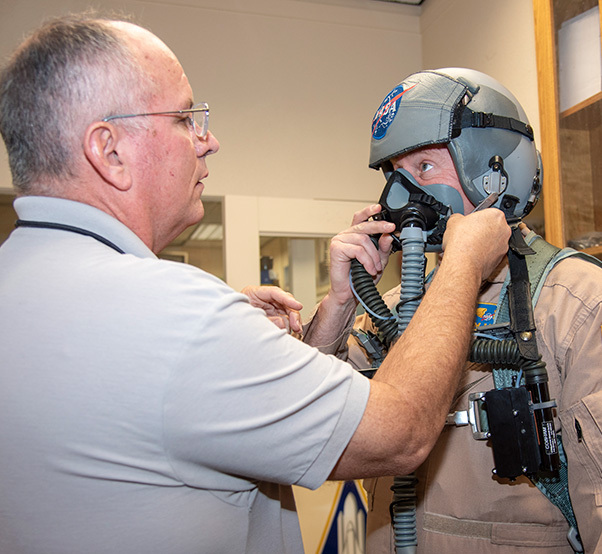 NASA plans to dedicate 160 flight hours where the NESC will measure the breathing of five NASA pilots across a range of aircraft types, aircrew equipment types and flight conditions. The flight conditions that will be tested include anything from benign environments, typical in instrument proficiency training, to more strenuous environments, such as those found in high altitude, aerobatic maneuvering and combat maneuvering. Over the past five years, both the U.S. Navy and U.S. Air Force have noticed an increase of pilots experiencing physiological events, or PEs, during flight. PEs can consist of several symptoms, including cognitive impairment, numbness, tingling, lightheadedness, behavioral changes and fatigue. While the history of these PEs can be traced back to the early 1990s, the causes for such occurrences remains unknown. Despite the military’s analysis and corrective actions to resolve the issue, PEs still persist and the root cause for these events remains elusive. In March 2017, the NESC assembled a multidisciplinary team to perform an independent assessment of the Navy’s previous research. The assessment was intended to support the Navy in developing more robust and efficient methods for analyzing how the human body responds in high-performance aircraft, during flight. 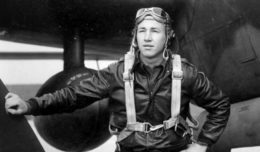 This team consisted of several technical experts in the areas of environmental control systems, oxygen systems, life support systems, aviation systems, systems engineering, flight medicine, physiology, human systems/human factors, analytical chemistry, safety, and data mining and analysis. NASA pilot Jim Less is assisted by life support as he is fitted with a Cobham designed VigiLOX pilot oxygen monitoring system. VigiLOX is a sensing system that is attached to a pilot’s existing gear to capture real-time physiological, breathing gas and cockpit environmental data. The NESC’s approach to solving this issue comes from the foundational understanding that PEs do not happen to aircraft, but rather they happen to people — making the issue one that must be approached by looking at both the pilot and the aircraft as an interwoven system. Armstrong’s F-18A/B aircraft and F-15D aircraft will serve as the perfect testbed for this study; the aircraft in NASA’s possession still use the legacy technology of a Liquid Oxygen System as opposed to newer military aircraft that utilize an Onboard Oxygen System. Given that NASA’s aircraft use a different system, data collected by NASA will serve as a baseline for comparison to the military’s newer OBOGS system. Over the next few months of flight testing, NASA will help to optimize human pilot performance while simultaneously minimizing the potential for these unexplained PEs during flight. It is not every day that people have the chance to explore such life-changing questions. For NASA’s aviators like Less, it is just another day in the office.